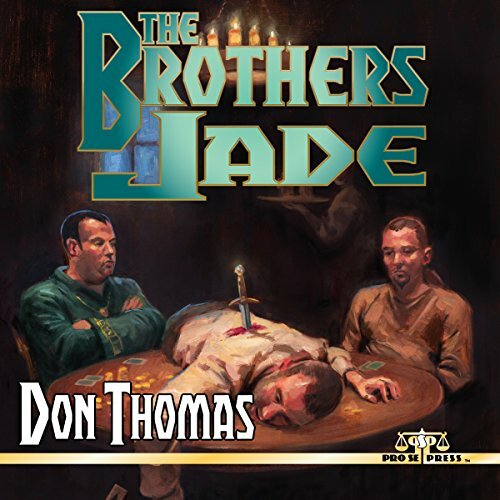 Pro Se Productions presents THE BROTHERS JADE, an exciting tale of fantasy and magic by author Don Thomas, now as a top quality audiobook produced by Radio Archives. The old gods are near forgotten in the world of Mythas and a palpable tension hangs in the air. This is especially apparent to two young magic casting brothers, Lawrence and Hesikiah, raised by a father who was a War Mage of the highest caliber and a mother whose shrewd diplomacy helped to forge the alliances of the five great nations to the West. Even with a lineage such as this, neither brother could have imagined the role they and the other valiant heroes soon to join them would play on the world stage. Or that their coming had been foretold in a series of ancient prophecies. THE BROTHERS JADE brings out another aspect that is often overlooked in Fantasy works. It is also a coming of age tale sat against the stark backdrop of intrigue and adventure, action and danger. A rousing adventure for any fan of Fantasy. This action packed New Pulp audio book is also available on Audible and Itunes. THE BROTHERS JADE is available at Amazon and www.prose-press.com.